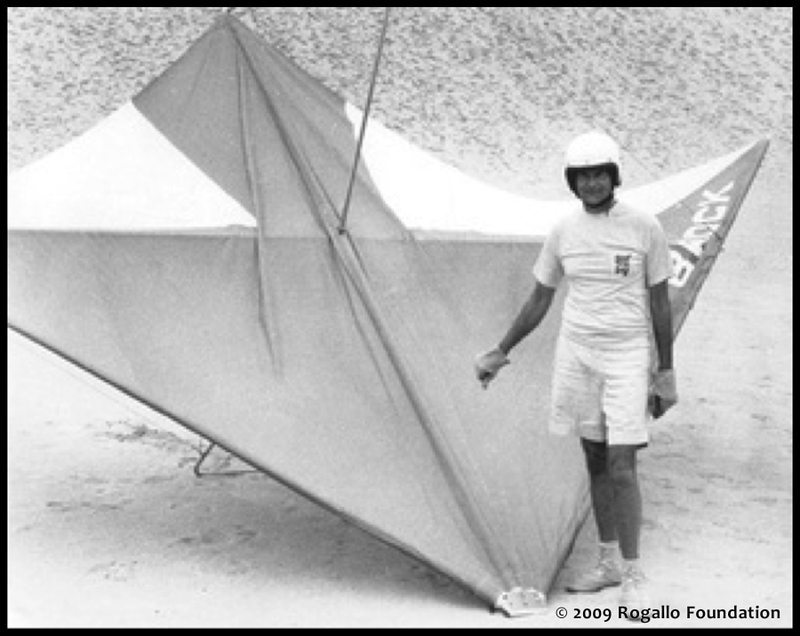 In the weeks since Francis Rogallo died at the age of 97 (12 January 1912 ~ 1 September 2009), I’ve been pondering the incredibly massive, and profound impact he had on the international kite world. I’m not sure his remarkable contributions have been, or ever will be, fully realized or appreciated for the immense impact they’ve had on all of us. Consider the graceful, elegant, deludingly simple delta. It is the delta that saves kite festivals on low wind days. It is the delta that rescues most night flies from failure. It is the delta that gives encouragement to, and retains the new kite flyers with its positive reinforcement, and ease of flight. It is the delta that brought masses of people to the kite world as sport kite flyers and then proceeded to keep them there. 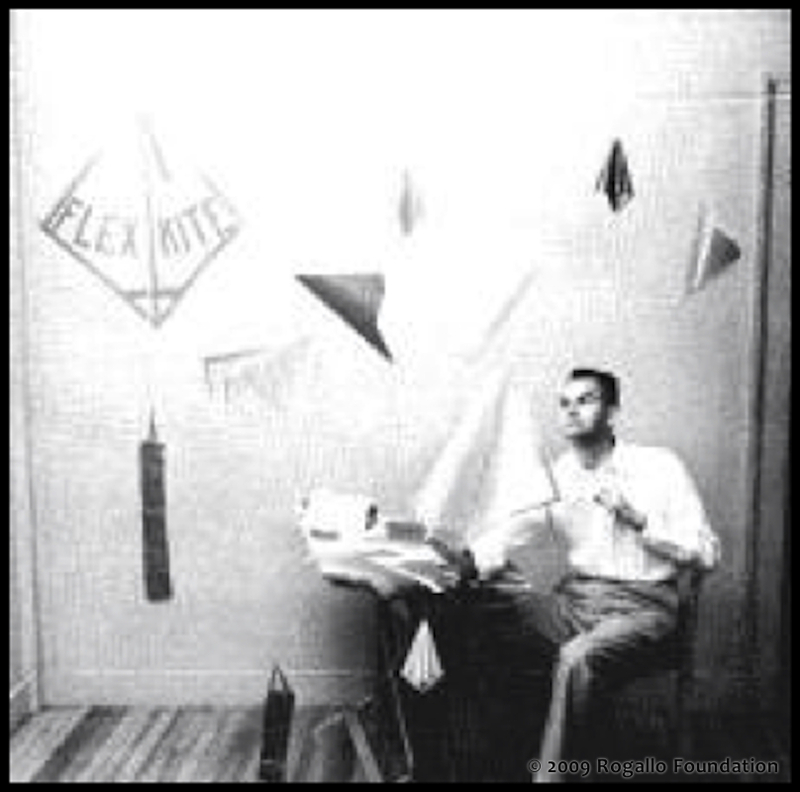 It is the delta that we turn to when we need our most dependable, reliable kite. It is the delta that we can count on. His kind generous spirit shone through his sparkling eyes the day I met Francis Rogallo in June of 2003. I could not have been more thrilled! One does not get to meet a living legend every day. 2003 was the 100th anniversary of the Wrights Brothers flight. Kitty Hawk Kites had a kite festival six months prior to the December 17th anniversary to celebrate the Wright Brothers use of kites in their research in the years leading up to their historic flight. Mr. Rogallo took my arm as we crossed the field that beautiful June day. I was escorting him to the hangar to see the kite exhibits, workshops, and indoor flying we had set up for the festival. He was very complimentary, gracious and amused by the indoor flying. 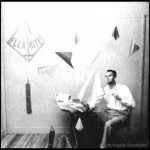 The kite fliers there that day fumbled and sputtered over our words as we tried to tell him how honored and impressed we were meeting him, but he’d have none of it. He said he was just a kite flier, enjoying the kite festival. That was one of the amazing things about Francis Rogallo. 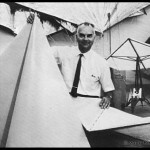 He considered himself a regular kite flier…we considered him a giant among men. 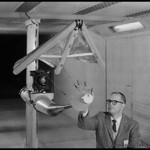 All of the attached images have been generously provided by the Rogallo Foundation. 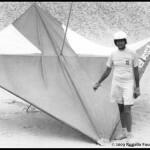 John Harris of Kitty Hawk Kites is president of the Rogallo Foundation, he told me of plans for a book and to build a Rogallo Museum. 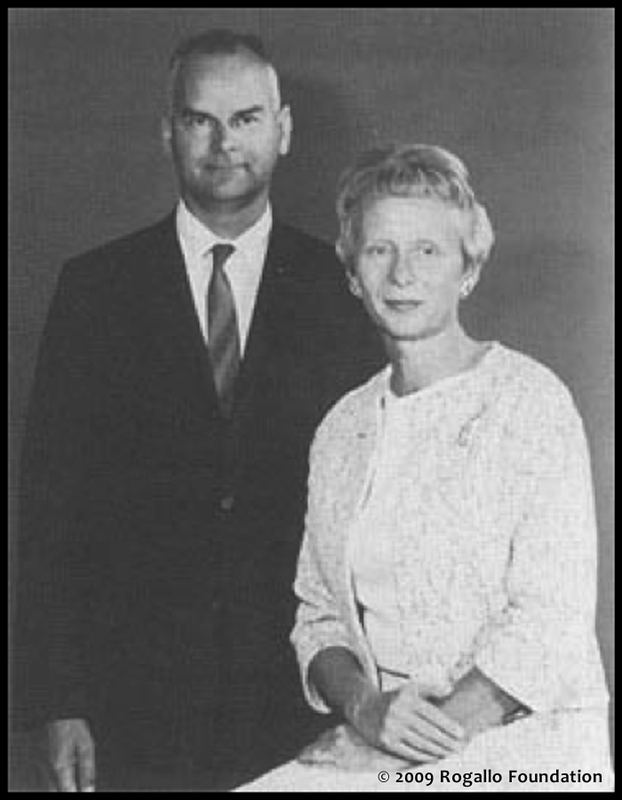 “The Rogallo Foundation was created in 1992 and its mission is to honor the Rogallo’s; preserve their priceless records, artifacts, and research; interpret their incredible story; and protect this legacy of free flight for millions of people in all the Nations of the world. 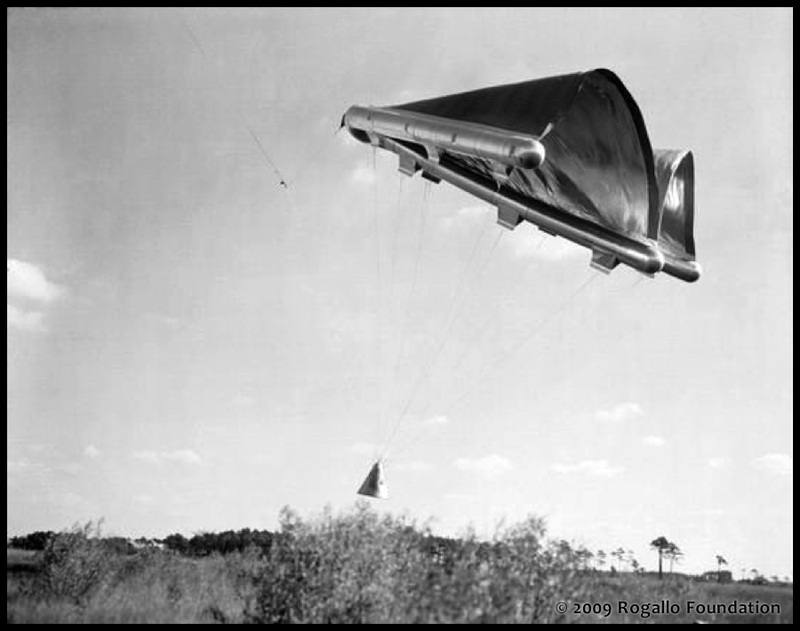 Based on the Rogallo invention, millions of people around the world have been introduced to the pleasures, adventures, and challenges of aviation. 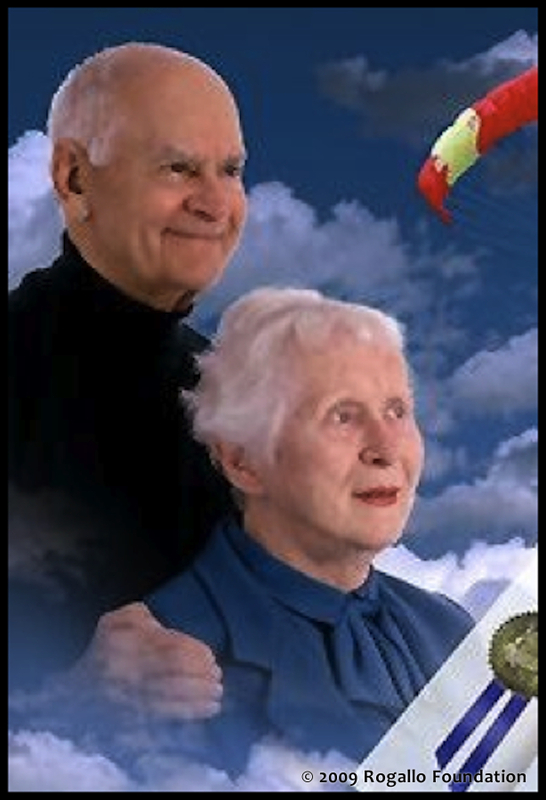 Stimulate and support research and education in aerodonetics the science of gliding and soaring flight and low speed aerodynamics. 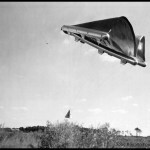 Encourage literary efforts and publications advancing aerodonetics and low-speed aerodynamics. 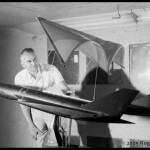 Support educational opportunities involving aerodonetics and low-speed aerodynamics. 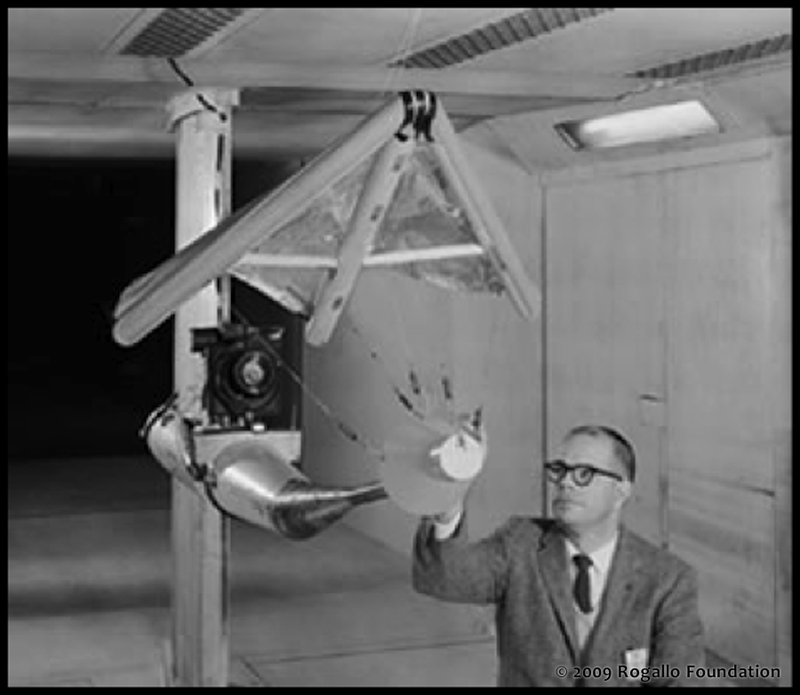 Preserve and exhibit artifacts associated with the use of aerodonetics and low-speed aerodynamics. There was an out pouring of affection, remembrances and reviewing of the past when Francis Rogallo passed away recently. 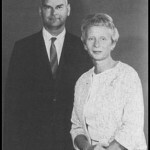 Below is the Drachen Foundation’s obit in its entirety. There is also a sampling of the many other obits that appeared in newspapers across the country, as well as a variety of articles about Francis Rogallo and his impressive achievements. 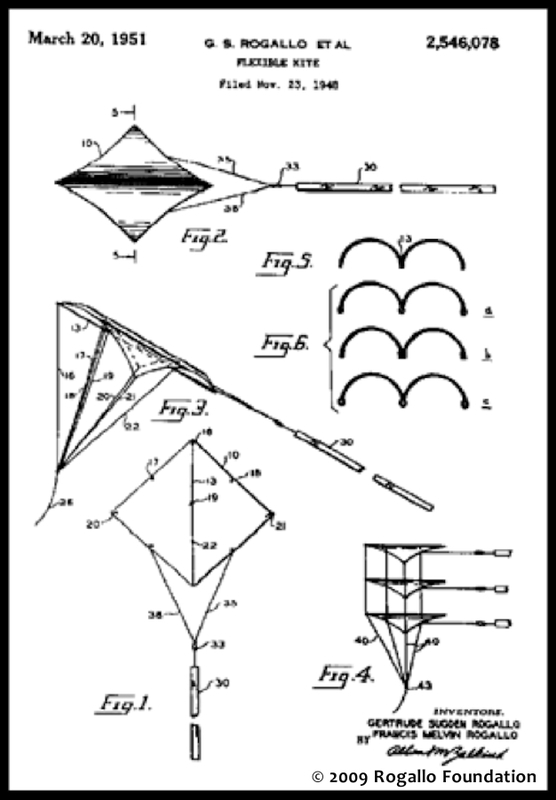 Kite flying in the second half of the 20th Century was influenced greatly by the inventions of Rogallo and fellow soft-kite pioneer Domina Jalbert. 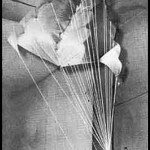 Jalbert’s parafoil designs became the standard of parachute design, and most popular with kite flyers for “heavy lifting”. 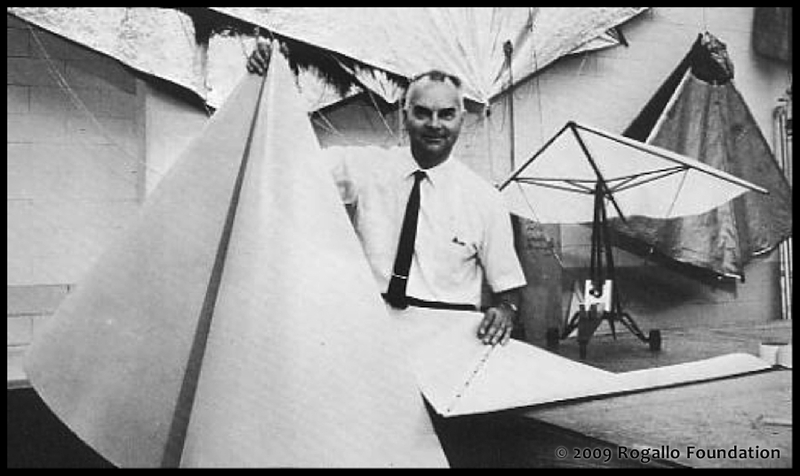 But the frameless Rogallo wings inspired soaring delta kites, so popular as the introductory kite for enthusiasts, worldwide, as well as a whole generation of “NASA-Wings” for kite traction. 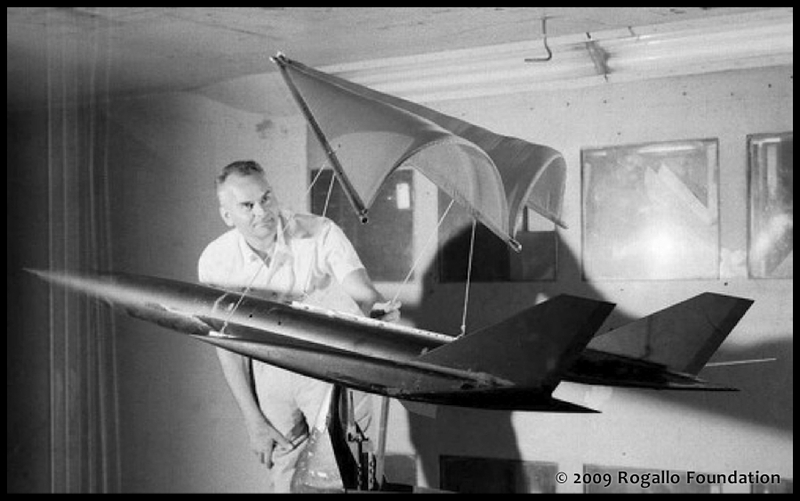 Invented for the United States’ space program, the Rogallo wing may yet find its way back into the forefront of technology. 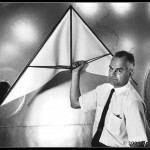 Could this be the kite (sail) that pulls yachts or ocean-going tankers? 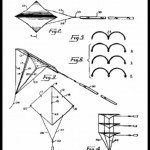 Could this be the kite that harnesses the wind’s almost-limitless power? 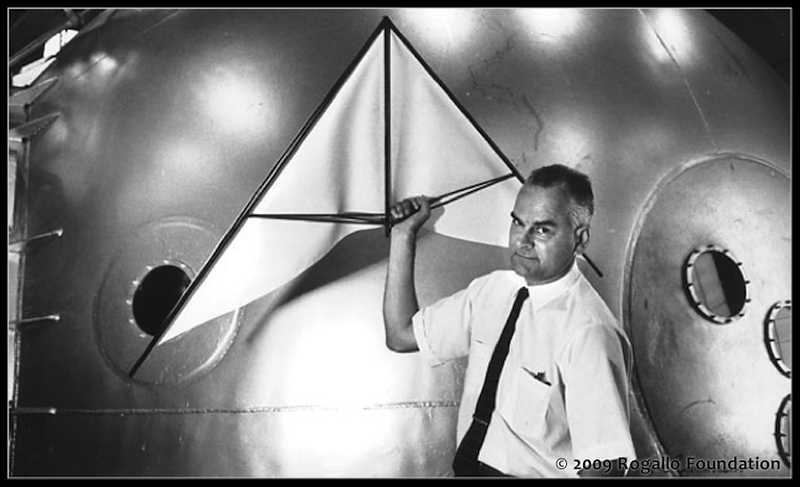 Francis Rogallo’s innovative approach to the problem of space-capsule re-entry is inspirational. 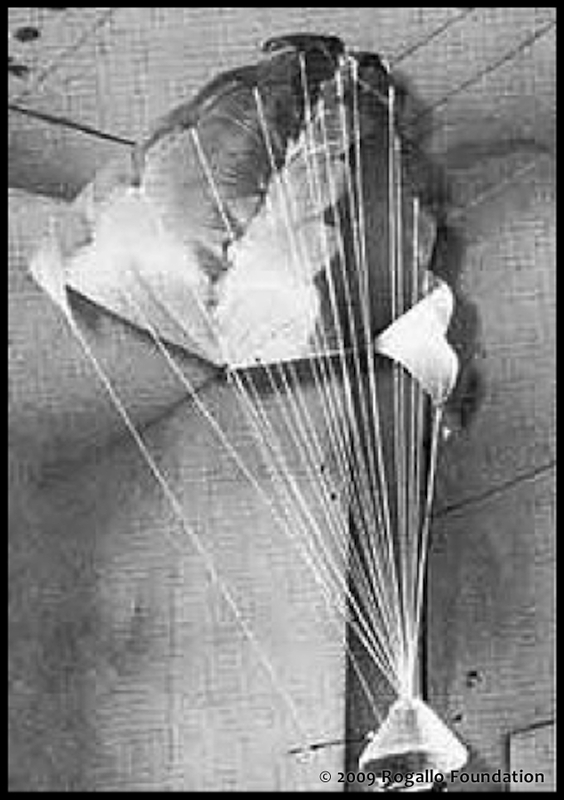 This elegant flexible wing was such a departure from the ideas of the day, yet now, we have a hard time imagining our kite-flying-lives without it. Variations of Rogallo’s invention will live forever amongst us. This entry was posted in 2009, Issue 68 (Sep/Oct), KL Archive and tagged people.